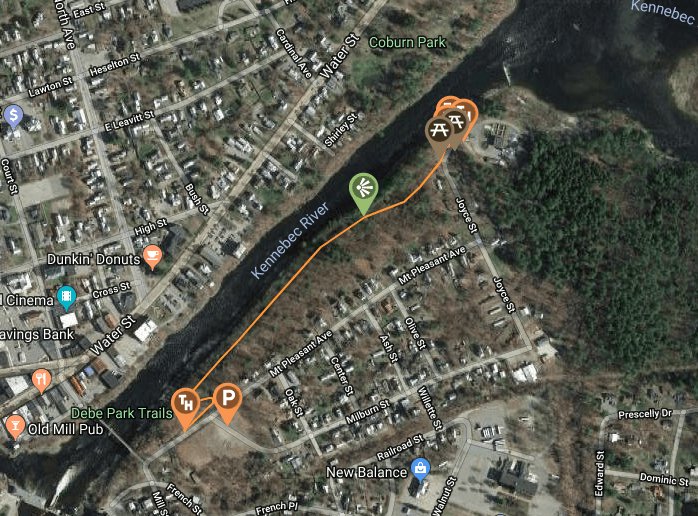 The Skowhegan River Walk is a great place for everyone including kids. 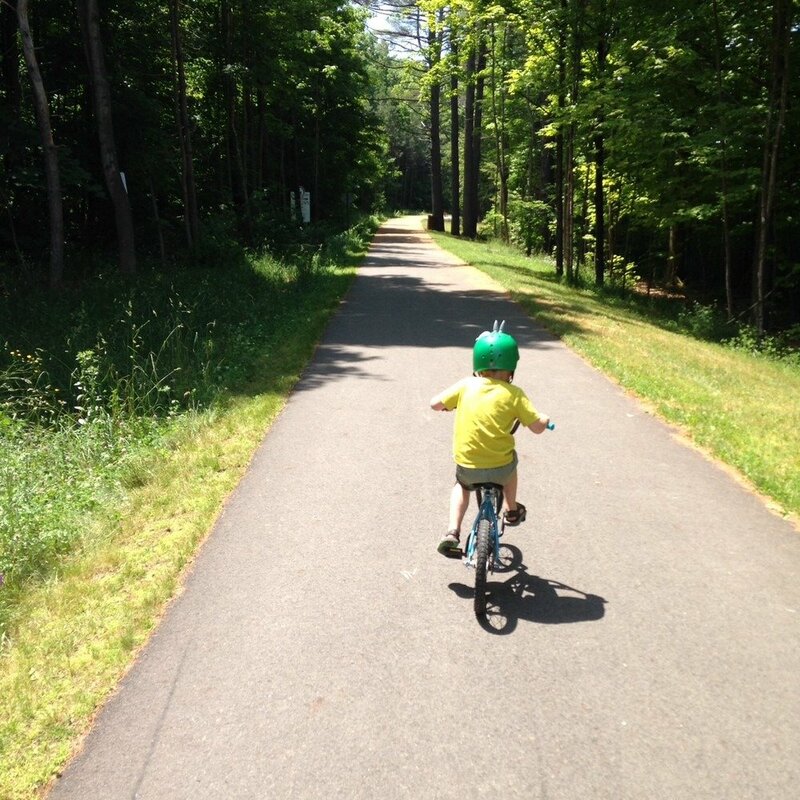 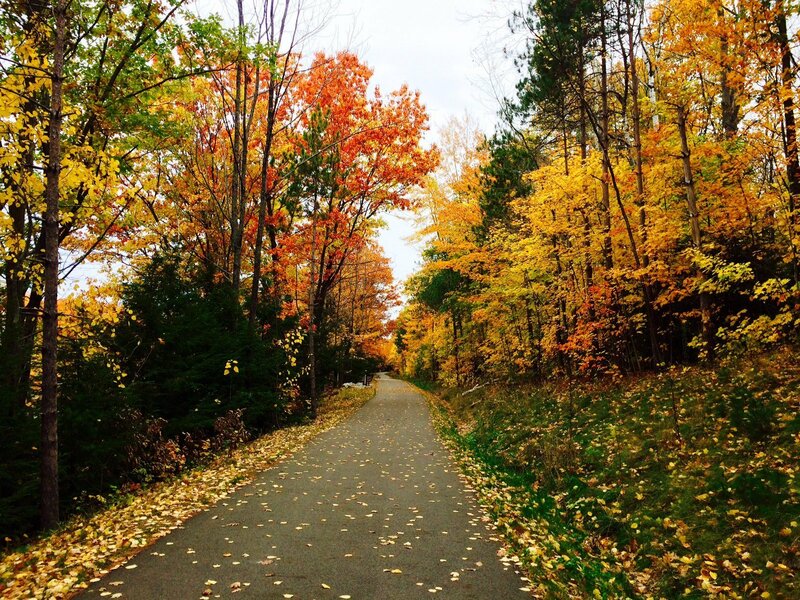 The trail is paved, is off the road, and includes seats and picnic tables. 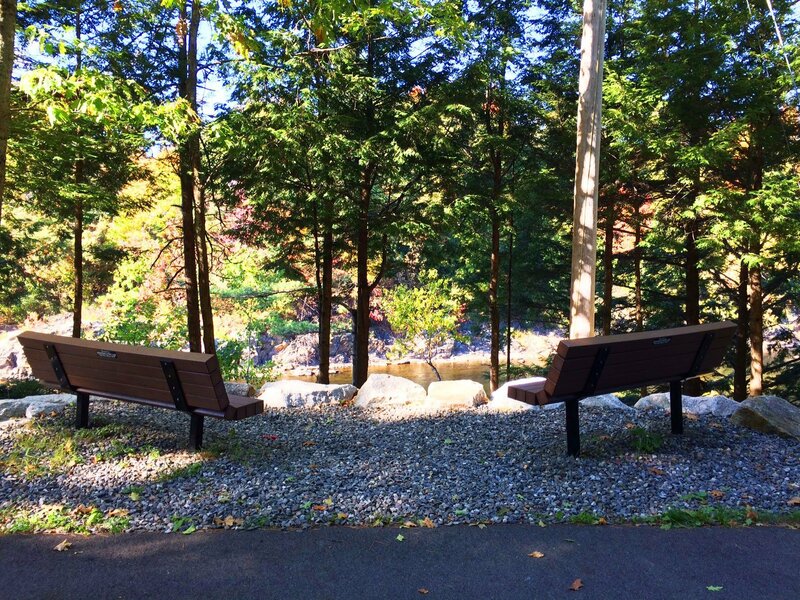 Beautiful trees line the walkway and along the way are benches to relax on and exercise fitness units.